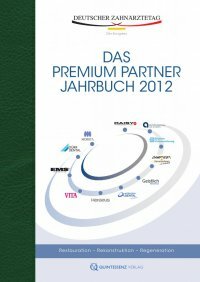 97 Astra Tech Dental – Implantologie Literatur 1. Nölken R, Donati M, Fiorellini J, Gellrich N-C, Parker W, Berglundh T. Marginal bone support at OsseoSpeed™ Profile implants. Astra Tech World Congress Gothenburg, Sweden, May 9-12, 2012. 2. Ganz S. Computer-milled patient-specific abutments: incredibly quality with unprecedented simplicity. Implan- tology 2003 2003:37-44. 3. Ganz SD. CT-derived model-based surgery for immediate loading of maxillary anterior implants. Pract Proced Aesthet Dent 2007;19(5):311-8; quiz 20, 02. 4. Holt LR. A case study: A custom posterior abutment compared with a prefabricated stock abutment. Inside Dentistry 2008;Sept:2-3. 5. Kerstein RB, Castellucci F, Osorio J. Ideal gingival form with computer-generated permanent healing abutments. Compend Contin Educ Dent 2000;21(10):793-7, 800-1; quiz 02. 6. Kois JC, Kan JY. Predictable peri-implant gingival aesthetics: surgical and prosthodontic rationales. Pract Proced Aesthet Dent 2001;13(9):691-8; quiz 700, 21-2. 7. Nazarian A. Easier implant restoration: CAD/CAM generated implant abutments. Contemporary Esthetics 2007;February:44-48. 8. Schneider A, Kurtzman GM. Computerized milled solid implant abutments utilized at second stage surgery. Gen Dent 2001;49(4):416-20. 9. Whitesides L. Evaluation of the Atlantis abutment in implant restoration. Inside Dentistry 2006;September:98-99. 10. Ganz SD. Use of stereolithographic models as diagnostic and restorative aids for predictable immediate loading of implants. Pract Proced Aesthet Dent 2003;15(10):763-71; quiz 72. 11. Ganz SD. Defining new paradigms for assessment of implant receptor sites. The use of CT/CBCT and interactive virtual treatment planning for congenitally missing lateral incisors. Compend Contin Educ Dent 2008;29(5):256- 8, 60-2, 64-7; quiz 68, 78. 12. Pansick E, Attanasi R. Atlantis™ patient-specific abutments. Inside Dentistry 2010;6(6):1-3. 13. Martin R. Astra Tech OsseoSpeed™ 3.0S implant. Inside Dentistry 2010;6(4):2-4. 14. Petrungaro P, Smilanich M, Jimenez E. Use of ceramic abutments in the esthetic zone to enhance implant esthe- tics. Inside Dentistry 2007;February:2-5. 15. Watkin A, Kerstein RB. Improving darkened anterior peri-implant tissue color with zirconia custom implant abut- ments. Compend Contin Educ Dent 2008;29(4):238-40, 42. 16. Whitesides LM. Solution for the challenging implant. Dent Today 2008;27(2):146, 48. 17. Adams MW. Computer-designed and milled patientspecific implant abutments. Dent Today 2005;24(6):80-3. 18. Ganz S. Finally, a ‘win-win’ solution: Increasing accuracy while saving time, money with computermilled abut- ments. Dental Economics 2005;May. 19. Osorio J. Use of the Atlantis Abutment in restorative practice speeds time to function and aesthetics. [Interview]. Dent Implantol Update 2000;11(8):57-62. 20. Garg AK. The Atlantis Components Abutment: simplifying the tooth implant procedure. Dent Implantol Update 2002;13(9):65-70. 21. Kerstein RB, Osorio J. Utilizing computergenerated duplicate titanium custom abutments to facilitate intraoral and laboratory implant prosthesis fabrication. Pract Proced Aesthet Dent 2003;15(4):311-4. tology 20032003:37-44.